Whether you have a live or artificial Christmas Tree, some safety precautions are necessary to ensure that you have a happy and safe holiday season! Here we will go over some Christmas Tree care and safety tips to keep your holiday merry! To many, there's nothing quite like the smell of a Live Tree. If you're one of them, here are some great tips that you're going to want to know! • When picking a tree, look for one that was freshly cut, as freshly cut trees are much less likely to catch Fire. If you are picking a precut tree, don't hesitate to ask the seller when they cut the tree. • Carefully inspect the branches and needles. Needles or branches that are brittle or snap easily are signs of a tree that is too dry and most likely unhealthy. Look for trees with branches and needles that are pliable. • Don't forget to give your tree the "shake test". A healthy tree should retain most of the needles on the branches. A tree that loses a lot of needles is dried out and a potential fire hazard. • Cutting 2 inches off the base of the trunk will allow the tree to take in more water once you have it in your tree stand. Most sellers are happy to do this for you before you tie it to the roof of your car. • When selecting a stand, make sure that it is intended for a tree the size of the one you picked out. Large trees do require specialty stands to ensure that they are stable and can't tip over. • Your stand should be able to hold an adequate amount of water to keep the tree from drying out. The general rule is to allow for a quart of water per inch of trunk diameter. • When picking the perfect spot for your tree, make sure that it is far away from any heat sources such as fireplaces, radiators, heat vents, and heaters which will cause the tree to dry out more quickly and could cause a fire. • Be sure to check the water daily and refill the tree stand as needed. • Clean up dropped pine needles regularly. Not only does this prevent you from getting one stuck in your foot, but it also reduces the chance of fire. • Pine needles and sap can be poisonous to pets. Make sure to keep them from chewing on the tree, eating or playing with needles, and drinking tree stand water. • When unboxing your lights, inspect each strand for frayed or bare wires, cracked sockets, or loose connections. Throw away any lights that show any signs of damage. • Make sure that lights intended for indoor use are only used inside and that lights intended for outdoor use are only used outside. Indoor lights are not designed to protect against water and snow, which they are likely to deal with outside, while outdoor lights may become hotter during use than indoor lights and could cause a fire when used indoors. • Don't connect more than the recommended number of light strings together. For most lights this is 3 light strands. • Unplug or turn off all lights on trees and decorations when going to bed or leaving the house. • When purchasing light strings, extension chords, or timers, ensure that they have been certified by an accredited certification organization such as CSA International or Underwriters Laboratory (UL). Is there really a big difference between a well watered tree and a dry tree? As Artificial Trees become more and more life-like, many people are moving to this convenient option! While there is definitely less to consider with an Artificial Tree, there are a few things that you may want to keep in mind, please see below. • When picking an artificial tree, look for trees labeled as "fire resistant". If lights are built in, also look for an Underwriters Laboratory (UL) label. 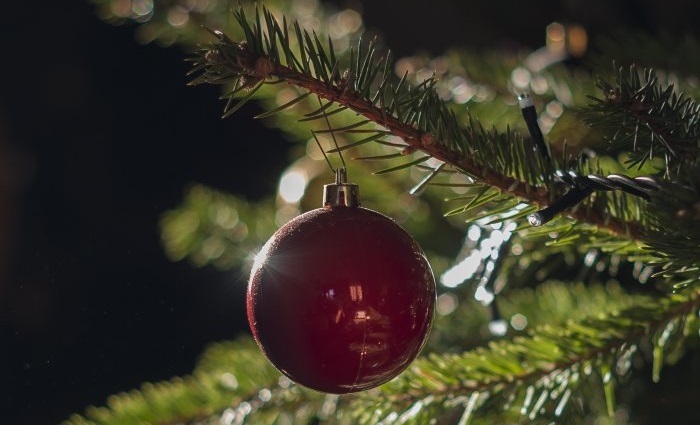 • For trees with built in electrical sockets or lights, be sure to inspect your tree thoroughly for any fraying, bare wires, cracked sockets, or loose connections. If you find any damage to the trees electrical system, it's time to replace the tree. • Even "fire resistant" or "fire retardant" artificial trees can catch Fire, so when choosing the perfect location make sure that it is far away from any heat sources such as fireplaces, radiators, heat vents, and heaters. • When getting your tree out of storage, be sure to dust off the branches, as accumulated dust is a potential fire hazard. • If your artificial tree has built in electrical sockets, be careful not to attach more light strings than recommended. We hope that you found this information helpful and most of all that you and your family have a happy and safe holiday season! Should you have a need for any of our services, please do not hesitate to Contact Our Offices!